Building on the success of his Holborn and Cheapside branches, we are proud to announce that Ted Baker has opened his third location on Avery Row in Mayfair! It was on the back streets of Istanbul, not London, that Ted discovered the joys of the traditional turkish shave. Finding it the closest and most relaxing shaving experience ever, he decided to open his own establishments in Holborn and Cheapside. 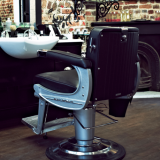 The art of Turkish barbering has been passed from generation to generation for centuries, it is these years of experience stretching back as far as the Ottoman Empire, that form the backbone of the treatments on offer. 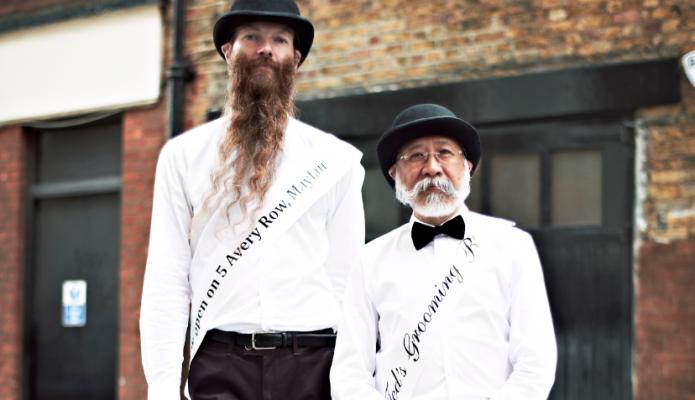 Here at The Grooming Guide we were particularly impressed to learn that a master barber only passes his title (and his razor) on after many years of training. 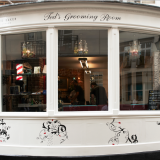 In the stylish confines of Avery Row this translates into a quality cut or shave from the charming Mus and his team. Perhaps you may also want to sample a beard trim or even “Ted’s Full Service” The more daring modern gentlemen should opt for the dramatic ear singeing, where a flaming cotton ended wand is rolled around the ears to dramatically remove any stray hairs! Even better whatever option you may choose, you will experience it in the most relaxed and man friendly of environments…a beer anybody? Ted we salute your undertaking to continue the traditions of barbering!